We want everyone to have the best. time. ever! ...Let's make your party happen. Invite some friends over, grab some drinks and snacks, we will come to you and guide you and your crew through a beautiful painting that you can hang on your wall! Don't know how to keep the kids entertained? Let them discover a new creative outlet by having a paint party! We teach them how to embrace their own uniqueness, and possibly find a new passion that they can focus on. We play games, and have dance parties while we paint! YES! Painting can be for the whole family! Get the Kids, Grandparents, Cousins, Aunts AND Uncles involved! A family that creates together, stays together! 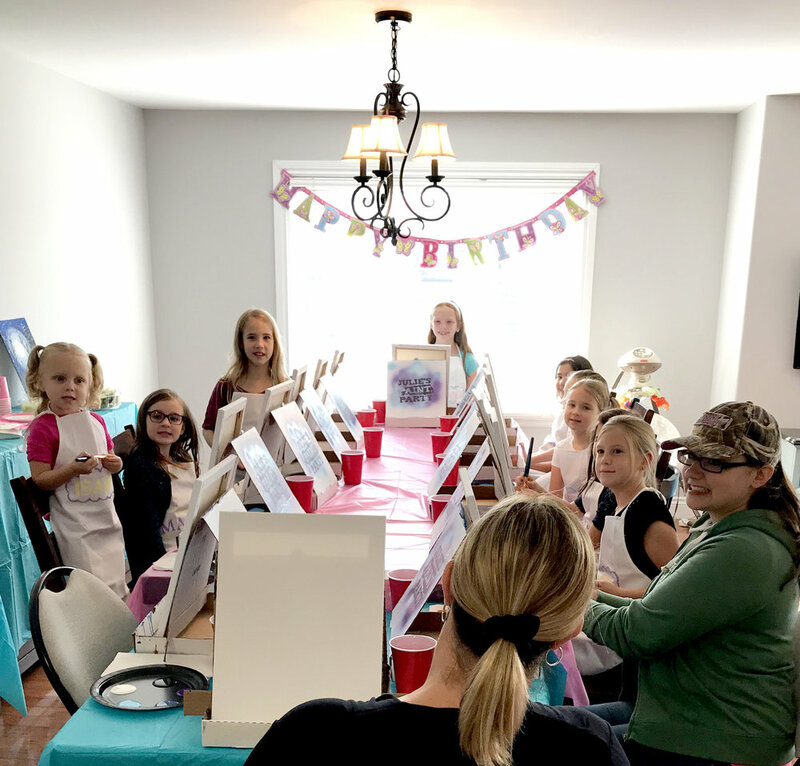 A paint party is an amazing way to kick of an amazing bachelorette party or weekend! Drinks and painting while your #girlscrew gets loosened up for an epic night! Cake and Painting! Celebrate your milestone with a dash of creativity! Halloween, Christmas, Rock N' Roll, Fiesta, Western, Superhero, Couples Date Night... if you can dream it, we can do it! Let us help you kick off an awesome themed party! It's tough being so professional all of the time. Let's get your corporate team together to release some extra stress, and create a stronger bond with your corporate team! Let's work together to raise some funds for your cause! Get to know your workmates even better with an intimate paint party. We incorporate different team building activities throughout the painting!